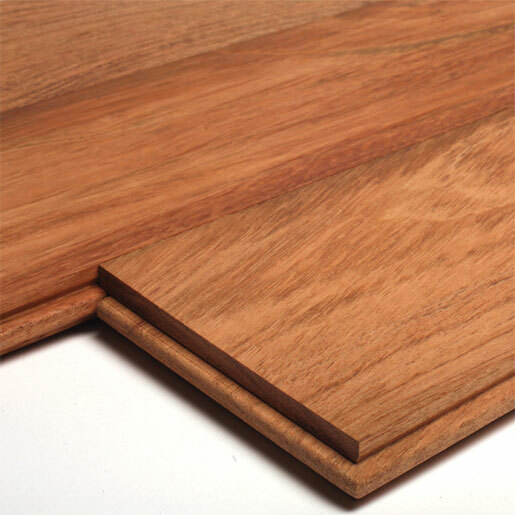 Find product details below for our Hardwood Flooring offered in Brazilian Cherry, Jatoba in 2-1/4", Select Grade from Nova. 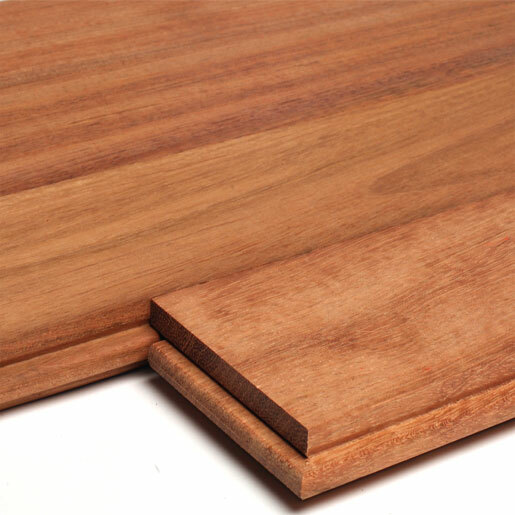 Photosensitivity: Brazilian Cherry is a highly photosensitive wood. It will darken the most within the first 90 days after exposure to light. After 90 days the darkening process will slow, but like all woods it will never completely stop. Area rugs and low lying furniture should be kept off new floors for as long as possible to avoid discolored areas. It is also recommended these items be moved periodically to allow the covered areas to darken. 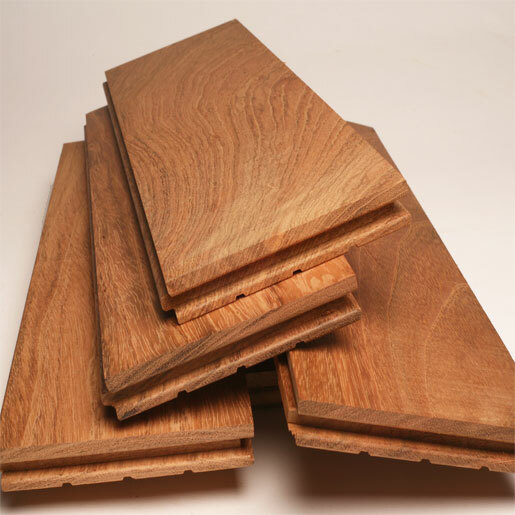 Brazilian Cherry, Jatoba Hardwood Flooring Select 2-1/4"
Brazilian Cherry, also known as Jatoba, is one of the most popular exotic hardwoods. 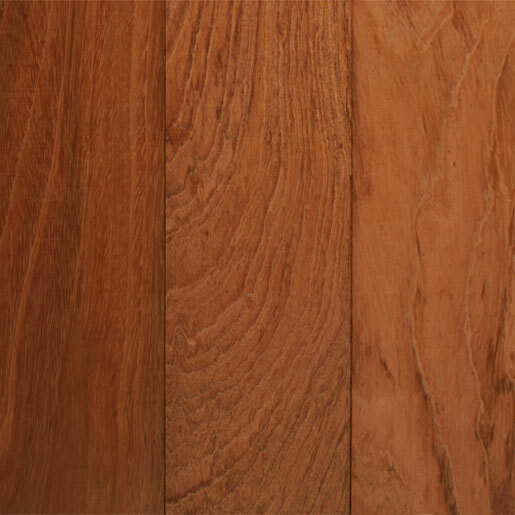 It’s not difficult to see why: Brazilian Cherry's breathtaking reddish-brown heartwood is lined by dark black streaks, giving it not only contrast but amazing depth as well. 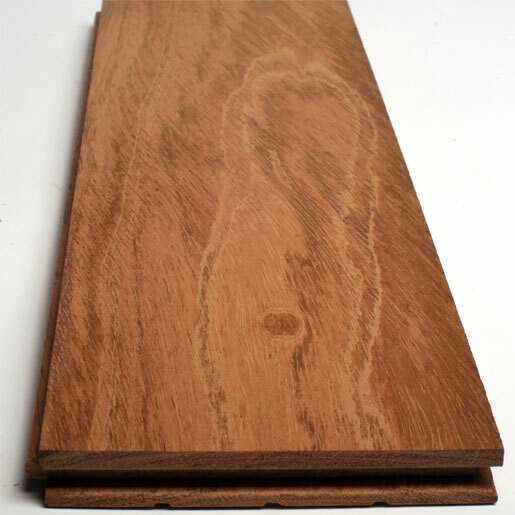 The heartwood will darken over time to a softer red-brown. 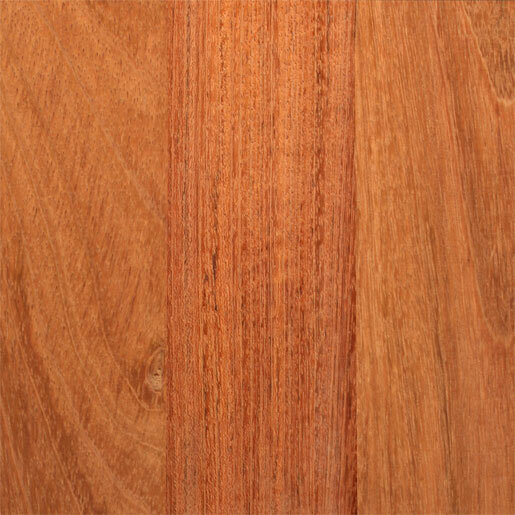 Beyond its beauty, Brazilian Cherry is incredibly strong, with a Janka hardness rating of 2350. 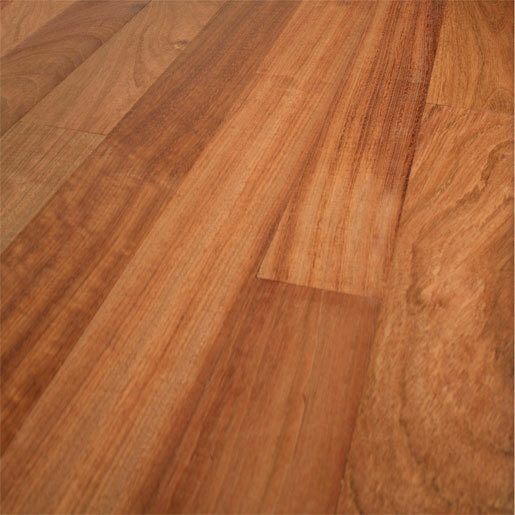 Silica is a natural mineral deposit commonly found in Brazilian Cherry, which can appear as a milky discoloration on the surface of the wood. This natural mineral can be identified by thin white lines in the grain, which go all the way through the piece. 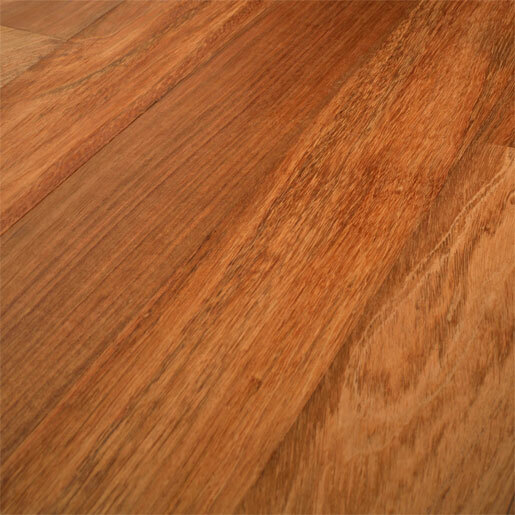 As the wood darkens due to exposure these affected areas remain lighter and typically present themselves in the form of blotches and streaks. 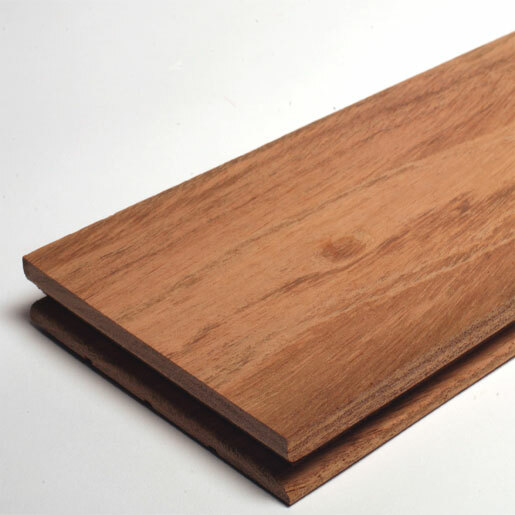 We make every effort to eliminate silica from our Select & Clear grade flooring, however, it is not uncommon for some boards to make it past the inspection process. Because silica is a naturally occurring mineral within the tree it is not considered a defect and is not basis for a claim. Select graded material will have a slightly wider color range than Clear. Selects will include the full natural color range of the particular specie. 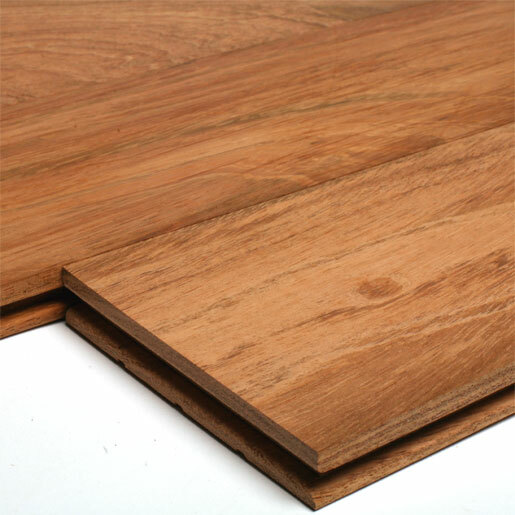 Select allows tight knots, burls, and a very few small open defects. 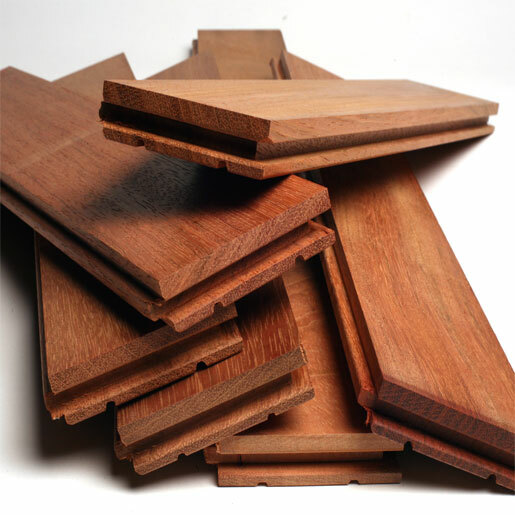 Nova USA Wood Products LLC. All Rights Reserved.